In 2017 I entered and won the 15m section of the SCC RTTY Championship and although I wasn’t available for the full 24 hours of the contest this year, I did make a token entry by operating for around four hours on the Sunday morning. The problem was that on the Sunday, conditions had absolutely plummeted. There were zero sunspots and both the A and the K indexes were quite high. I persevered and called CQ for most of the time I was operating, interspersed with the occasional tune around the band to see what I could hear. I heard nobody else on 15m and not one station replied to my CQ calls. Because of the time I’d spent operating, I decided to put my entry in anyway. 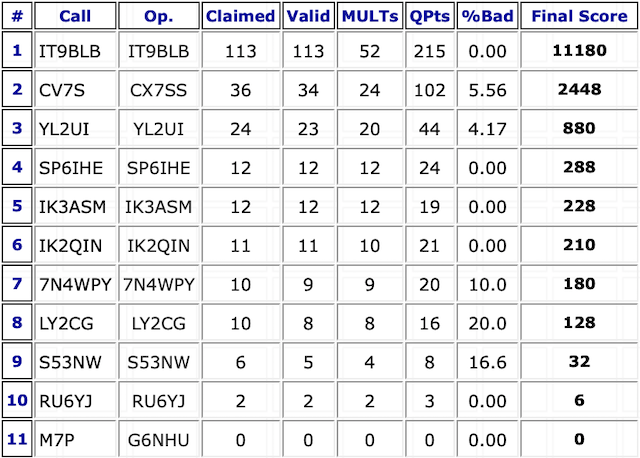 To clarify, this was an entry with zero QSOs, zero points and zero multipliers! Not surprisingly, I was last in the section and you can tell from the other entrants that conditions were significantly better on the Saturday. 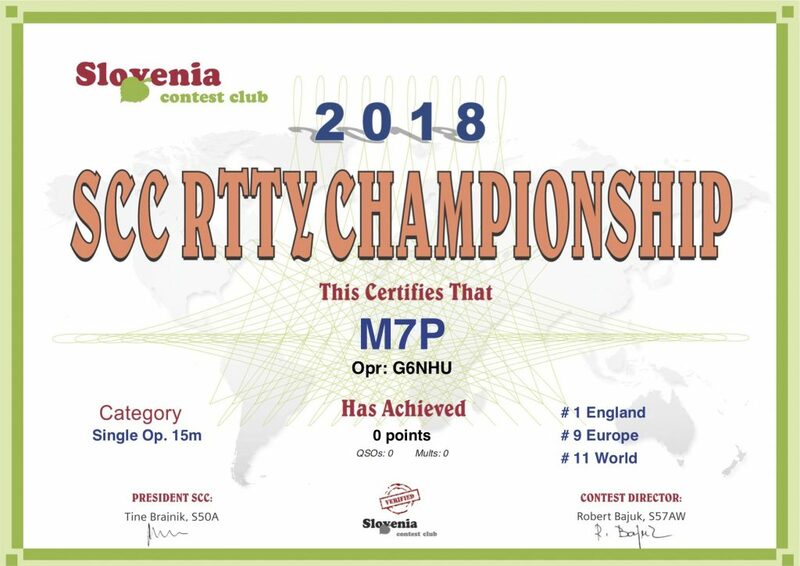 My certificate has to be the best certificate in the history of contesting with zero QSOs, zero multipliers and zero points but still #1 England. This entry was posted in Amateur radio, Contesting, HF, RTTY and tagged rtty, RTTY contesting, SCC RTTY Championship. Bookmark the permalink.